What was the difference between what Jesus taught his disciples and what he taught everyone else? What is the significance of reincarnation in regard to how we live our lives? Does reincarnation reduce the need for personal responsibility? Is there any place for vicarious atonement? What was the purpose of the coming of Jesus Christ? Elizabeth Clare Prophet, tell us how you came to believe in reincarnation? I don't even remember starting to believe in reincarnation because when I was a little girl, probably at the age of two or three, I had a series of recollections of being in Egypt on a large river and playing there as a little child. And these recollections (which were really a part of my self-awareness) would continue to come back to me and I would ask my mother about them. I knew nothing about Egypt—nothing about its geography. Then she explained to me that the only thing that had ever made sense to her about life and the seeming injustice of people being born with infirmities or children dying very young was this concept of reincarnation—that the soul, in reality, does not begin at birth and does not die at death but continues its evolution. This is primarily an Eastern idea, isn't it? Not really. We find it in our own scriptures in the West but people don't have the ear to hear, as Jesus said. Jesus taught reincarnation, and it's also in the Old Testament. For example, the last words of the Old Testament in the Book of Malachi read: “Behold, I will send you Elijah the prophet before the coming of the great and dreadful day of the LORD. And he shall turn the heart of the fathers to the children, and the heart of the children to their fathers, lest I come and smite the earth with a curse.” Here is God speaking through Malachi, a famous prophet quoted by presidents, and actually saying that Elijah is going to come again. What we see in both the Old and New Testaments is that the statements concerning the coming again of Elijah are so naturally mentioned that one has to accept the fact that they are being spoken within the context of an already established understanding. Malachi had the understanding of the coming again of the soul and therefore God could speak to him of the coming again of the prophet. The same with Jesus—he could give his disciples this instruction because they had a prior understanding of reincarnation. I gather that there is a difference between what was taught to the disciples and what was taught to the world at large? Not necessarily. 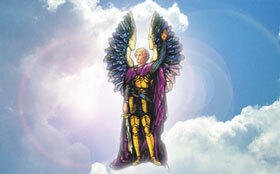 I'm quite certain that the Essene community had the understanding of the doctrine of reincarnation. And I think that inasmuch as in the East there was common understanding of reincarnation in Hinduism and Buddhism, people were aware of it in Jesus' time. I think that is what the Bible substantiates. 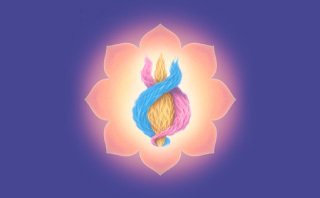 What is the significance of reincarnation for all of us in regard to how we live our lives? I can't really understand how people can make any sense out of religion—unless they are simply coming from some kind of an intellectual perception of the teachings of Christ—without the understanding of reincarnation. The continuity of existence and of being has always been a great reality to me. We know of a number of psychiatrists who have used hypnosis to regress patients to early childhood. And some patients have gone beyond early childhood and have recounted where they left off in their last life, going on to describe that life and then previous lives. Now, the ascended masters teach us that we should not submit ourselves to hypnosis, and I would certainly never employ hypnosis to prove the doctrine of reincarnation. But it is very interesting to see that within the subconscious memory of man is the record of previous existence. 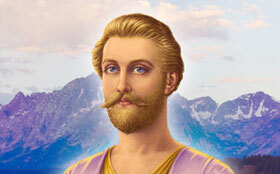 This enables us to understand what the ascended masters have taught us—that we carry with us the cause, effect, record and memory of our past and that this influences everything we are today. In fact, the masters teach us that we are what we are because of what we have been before. And that was Buddha's teaching to his disciples. If reincarnation is so important to believing in a just God, why is it not taught in the West? So it has always been a question of ecclesiastical control: if the people know too much, they will have too much power and too much independence. And this is what disturbs those who try to hold the secrets of the kingdom and to control people by that knowledge. Then you don't feel that the idea of reincarnation takes away from the sense of personal responsibility? On the contrary, it completely affirms the responsibility of the individual because it reinforces the statement of the Law: Every man shall bear his own burden, and not one jot or tittle of the Law will pass till all be fulfilled. Whatsoever a man soweth, that shall he also reap. Newton's law states the law of karma in scientific terms. It states that for every action there is an equal and opposite reaction. What is in our consciousness today is the reaction of a cause that we set in motion perhaps yesterday, perhaps ten years ago, perhaps a hundred years ago in a previous lifetime. 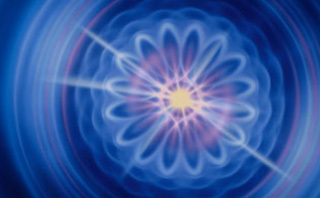 So, energy is God, and energy in us that we qualify and send forth returns to us. Now, the grace of God is this: We do not have the fullness of opportunity in a given lifetime to balance what we have put upon life—some call it sin, the Hindus call it karma. If we murder someone and then murder ourselves, it's over. According to Christian theology, we should go to hell unless perhaps we had asked for forgiveness just before we died. The cosmos doesn't work that way. It gives opportunity for the soul to evolve again and again. As Revelation says: “He that killeth with the sword must be killed with the sword.” In order to experience the reaction to his deed, man must come again to confront the one whom he murdered, to confront the energy—not as punishment but as a lesson in the laboratory of earth's schoolroom. What effect does the energy of hatred that manifests as murder produce? It must be an equally violent action in return. Thus the soul is chastised by her own action and learns that it is wrong to commit such a crime. Then, is there any place for vicarious atonement? Indeed there is, because Christ Jesus came in the person of the Saviour of the world. He died for our sins in the sense that he bore the weight of our karma of many, many lifetimes—he actually bore the entire accumulation of the weight of world karma, or world sin. He bore it in his body, therefore mitigating the descent of our karma for a certain dispensation. This dispensation is known as the Piscean dispensation—a two-thousand-year cycle whereby our souls were given a new opportunity to come to grips with the Law and the teaching of the Christ and our own inner God flame in order to build up a consciousness, a forcefield of light whereby we would have the capacity to stand and meet our own energies and past sowings face to face. This is why we have now come upon a time at the conclusion of this two-thousand-year period when the earth is in such darkness. We are having to face our own karma. The purpose of the coming of Jesus Christ was that through him we might learn to walk in his footsteps and do the works that he did, which he promised we would do if we believed on him—on the Christ within Jesus. At this point in our soul's evolution we are expected to begin to bear the sins of the world through the baptism of the sacred fire of the Holy Ghost. That baptism is a cleansing action of sacred fire, which itself is the transmutation of karma, or sin. So the baptism by sacred fire is altogether necessary in order for us to balance our karma of thousands of years. We have to realize that forgiveness of sin is the setting aside of karma until the soul matures to that place where she can face what it is that has burdened her. It is like going to a psychiatrist and digging up the records of one's childhood and being able to come to grips with those records. It takes a tremendous amount of energy to do this and most people are not willing to go through it. They are not willing to face their past. They are not willing to take responsibility for past actions. It is very convenient to say, “It is not possible for me in any way to attain virtue because I am a sinner. Christ died for me; he did the whole thing.” But we must remember that Jesus gave us the command “Be ye therefore perfect, even as your Father which is in heaven is perfect.” Jesus gave us the command to perfection. He gave us the teaching and the law whereby we could attain it.